Eat pasta like an Italian! 7 golden rules to make a deliciously healthy pasta meal and no sugar required. Durum is an ancient type of grain that is a hybrid of wild grasses with a high protein content. Pasta that’s made from Durum wheat has a remarkably low glycemic index (GI) making it a healthy carb choice. It’s easy, allows you total control of what goes over your pasta, and you’ll save money too. Shop-bought sauces swim in salt, sugar and a deadly cocktail of chemically laden fatty goo. Make a big batch, all pasta sauces freeze well. 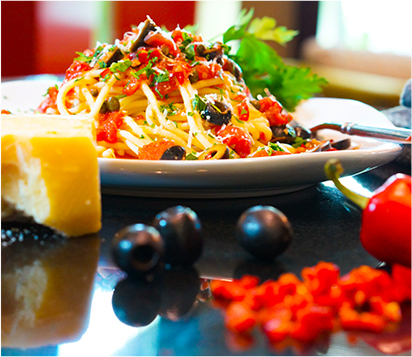 Overcooked pasta does not only change its texture and taste but also its nutritional profile. It contains less fibre and B vitamins and a much higher glycemic index than pasta cooked ‘al dente’ because the longer pasta is cooked, the more the sugars it contains break down. Any shape you like! 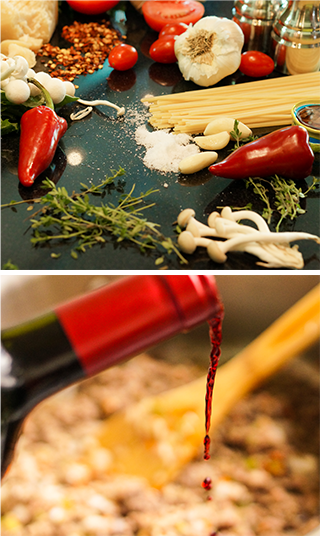 The one simple rule worth following is pairing the pasta shape to the sauce. Short pasta shapes are best for rich, chunkier sauces while long strands and ribbon are best for light, oil- based sauces. Add 1 tablespoon of coarse grain salt for every 5 litres of water a couple of minutes before adding the pasta to the pan. The addition of salt is essential, pasta cooked in unsalted water has a bland texture and flavour regardless of how tasty the sauce is. It is very easy to over eat pasta, cook between 90g and 125g of good quality dried pasta per person for a main meal. Hungry yet? Check out my delicious, authentic pasta sauces recipes!